Hopewell’s core logistical capabilities are delivered through Hopewell Logistics which operates state-of-the-art distribution and warehouse facilities in Calgary, Vancouver and the Greater Toronto Area. The focus of our highly specialized team is to ensure that manufacturers and distributors of packaged goods obtain the ultimate in asset productivity. This is attained through a sensitive weaving of high-tech systems for inventory control and distribution, with the skills and knowledge of well-trained and experienced staff. 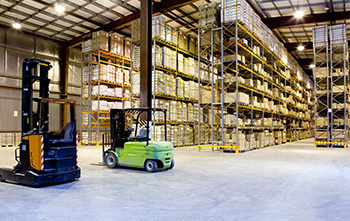 In addition, the combined resources of the Hopewell Group of Companies allow us to offer a unique package of services which include the development and operation of large scale, capital intensive distribution and warehousing centres. Hopewell Logistics offers a flexible menu of services ranging from facility design, construction and project management through to the management of supply chain activities. All of the main elements of our service packages can be unbundled to provide almost unlimited combinations of facility and operational services to our clients. This is a unique feature pioneered by Hopewell, which is destined to be an industry standard in years to come.